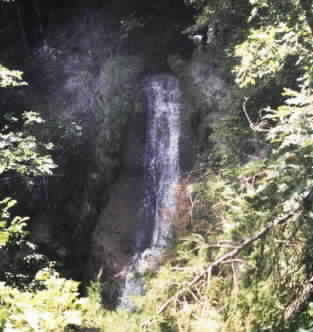 waterfalls that cascade from adjacent banks and hidden canyons. 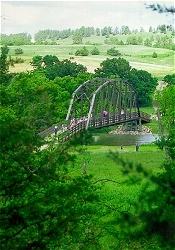 Niobrara River Ranch trails allow you private access to many secluded falls. takes you to the gentle beginnings of Smith Falls, Nebraska’s tallest. remarkable” geological factors the Niobrara has been designated a Wild andScenic River by Congress. 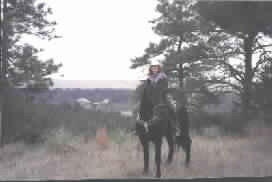 Enjoy the Niobrara Valley on Horseback!! We have a Corral-Full of horses available for your trail rides!!! 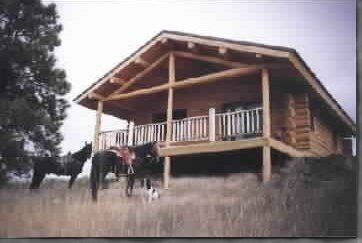 We offer all the amenities of your horses' home stable! Our facilities include an excellent barn, 11 panel stalls, and spacious outside corrals. Bring your horses and feel free to negotiate our 15-20 miles of open trails. You'll be in complete control, you can ride to your hearts content. No dull trail rides here! Contact us for rate details!! 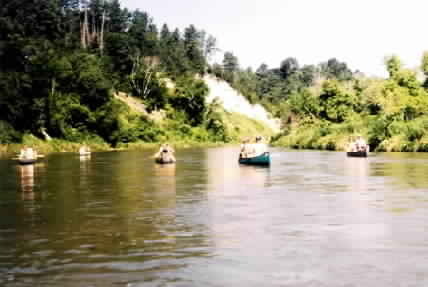 Enjoy a Canoe Adventure on the Niobrara!! 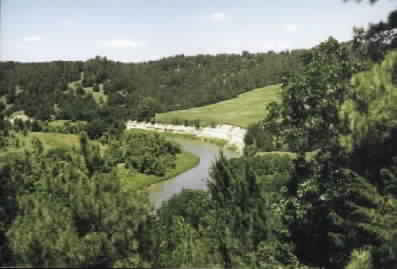 Canoeing, Tubing, and Kayaking on the Niobrara River is enjoyed by 60,000 people each year. You can relax and let the water run by as you soak up the sun and float down the river. Our modern full-service bath house and fully-stocked concession are easily accessible from, the Niobrara River near the Scenic Allen bridge. We have a "Beach and Go" short-term canoe landing for your convenience.